Why buy disposable pans and waist your money time after time again? Why not have your own trusty pan for keeps? Well, Royal Industries has just the pan you need, to fulfill all your baking needs! (ROY DP 16 2) is exactly the pizza pan youre looking for! It's aluminum structure and round shape are formed in accordance to the exact size you need! Start baking the right way! It's effective qualities have been proven to be the best of the best! 16" x 2" SIZE PAN IDEAL FOR DEEP DISH PIZZAS AND CAKES: This 16" x 2" Pizza or Cake Pan will be ideal for baking cakes, desserts and preparing deep dish pizzas. 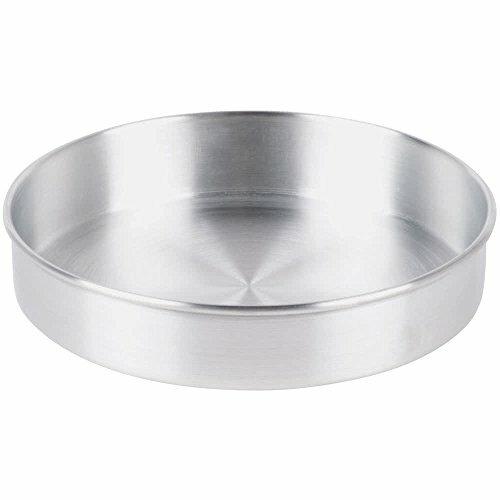 MADE OF A DURABLE, RESTAURANT GRADE ALUMINUM METAL: This Pizza or Cake Pan is made of a solid aluminum metal that is very durable for a long time even under extreme hot conditions. EVEN HEAT DISTRIBUTION & PREVENTS BURNT FOOD: This pizza pan made of aluminum metal will distribute heat evenly to the entire surface of the pan and will also avoid burnt food. STRAIGHT SIDES AID IN SMOOTH CRUSTS ON CAKE EDGES: This pizza pan has a 1.5 mm thick sides which are very straight aiding in the formation of smooth crusts on the edges of the baked cake. PRODUCT SPECIFICATIONS: One Pizza/Cake Pan. Dimensions - 16" x 2", thickness - 1.5 mm, metal - aluminum, shipping weight - 0.75 lbs.